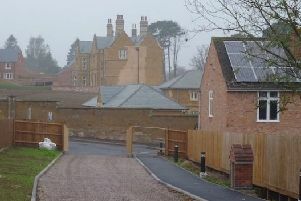 Due to the council’s failure to determine its original application within the statutory period, Gladman appealed against the non-determination of its plans. That appeal is still live but now it has resubmitted a second application for the same site which it is entitled to do. The parcel of land in question is identified in the council’s draft Local Plan (emerging options) as a potential housing development site, forming part of a ‘south Melton sustainable neighbourhood’. Developers will be expected to contribute towards and/or deliver parts of transport infrastructure including a Melton outer relief road. But no final decisions have been made, with the draft Local Plan set to go out to public consultation next month and with numerous stages to follow before the plan is adopted. Gladman’s re-submitted plans include site access changes, with T-junctions now proposed off Leicester Road and Kirby Lane. A planning statement submitted by Gladman says: “There are no transport/highways reasons for refusal of planning permission. The scheme’s traffic impacts have been reviewed and the conclusion remains that the development can be achieved without a ‘severe’ residual cumulative impact in accordance with national planning policy. “The council acknowledges it can’t demonstrate a five-year supply of deliverable housing sites. This proposal responds positively to the identified lack of housing land supply and ongoing need for housing in the borough.